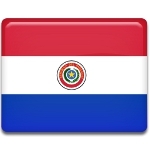 The Paraguayans annually celebrate National Heroes' Day on March 1. This holiday commemorates the end of the Paraguayan War. It also honors Francisco Solano López, Paraguayan leader, and other men, who died defending their country. The war began in 1864 and involved two parties: Paraguay and the Triple Alliance of Argentina, Uruguay and Brazil. The war ended on March 1, 1870 with the utter defeat of Paraguay. As the outcome Paraguay lost almost half of its land, most of its population and its industry. The country became the poorest one in Latin America and it still can not overcome the effects of the war. One of the major losses that Paraguay suffered during the war was death of Francisco Solano López, its president. It's often regarded that he was responsible for the Paraguayan War. However, López is considered a national hero in Paraguay, that is why Heroes' Day is one of the most important holidays in Paraguay. A customary celebration includes festive eating of national delicacies and music.